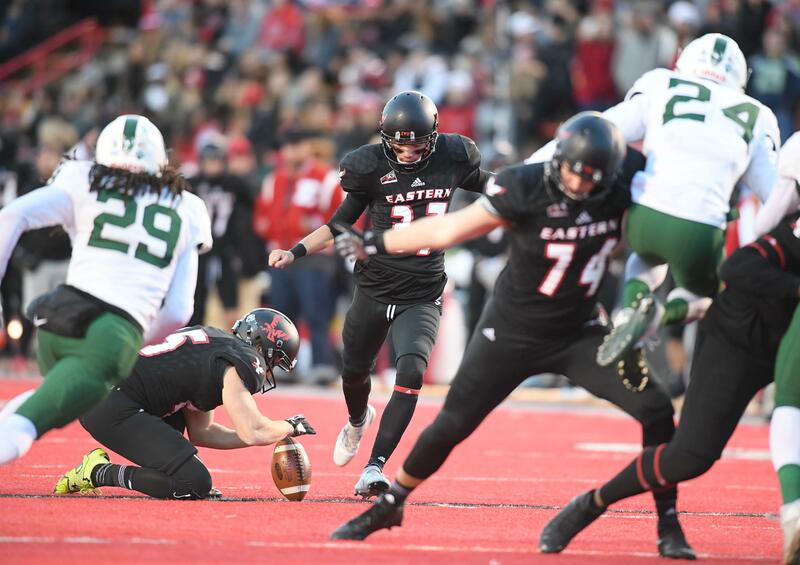 Mon., Aug. 27, 2018, 9:45 p.m.
Eastern Washington kicker Roldan Alcobendas was named to the preseason Fred Mitchell Award watch list, an honor given to the nation’s top collegiate place-kicker among FCS, NCAA II, III, NAIA and NJCAA football teams. Alcobendas, whose career long is 48 yards, is also EWU’s punter. The winner of the award will be announced in December. Published: Aug. 27, 2018, 9:45 p.m.